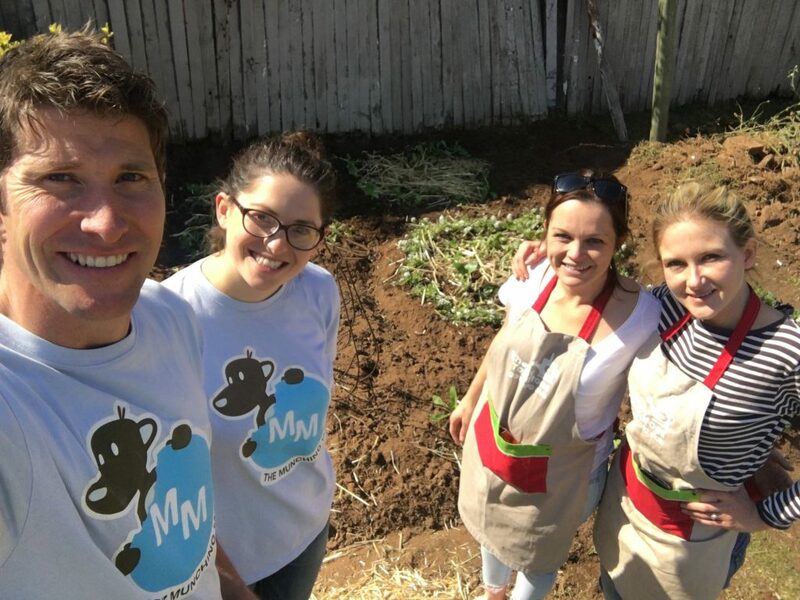 We feel that helping others is a very important part of why we are on this planet, and it’s a major drive of The Munching Mongoose to help others, and bring joy into the lives of all who come into contact with this little business. Abraham Kriel is a children’s home that we have worked closely with over the years, and for Nelson Mandela Day, we always try to do something special for these kids. 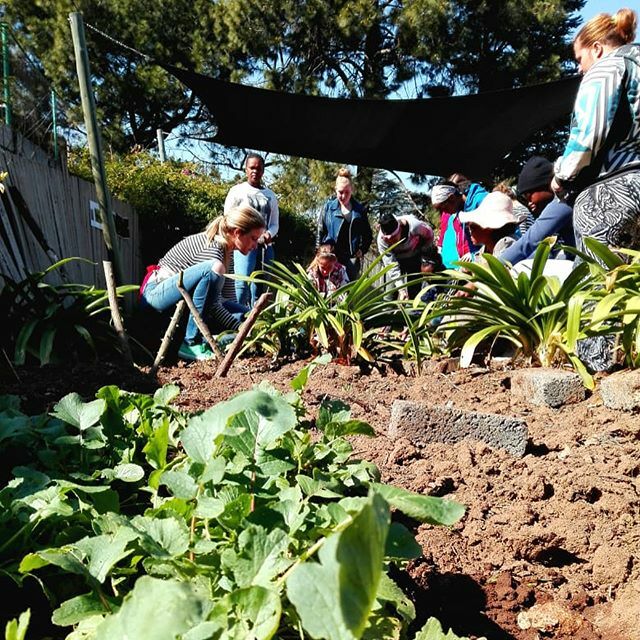 This year, we partnered with Cherry Tomatoes Gardening Club, to host some of the girls from Abraham Kriel for a morning of gardening! Here’s what we got up to! The lovely ladies from Cherry Tomatoes Gardening Club hosted us at their little spot at The Gardenshop in Bryanston this past weekend. We learnt about what’s important to grow plants; sunlight, water & good soil, and we got to understand a little more about what good soil means. The girls then had the opportunity to work in groups to create their own gardens, filled with herbs, edible flowers and veggies. The one group was super creative, making lots of shapes with their plants, whilst the other group stuck to good ol’ rows. As they went, they were taught about the different plants, and given tips on where to plant each of them, and how they’ll grow. 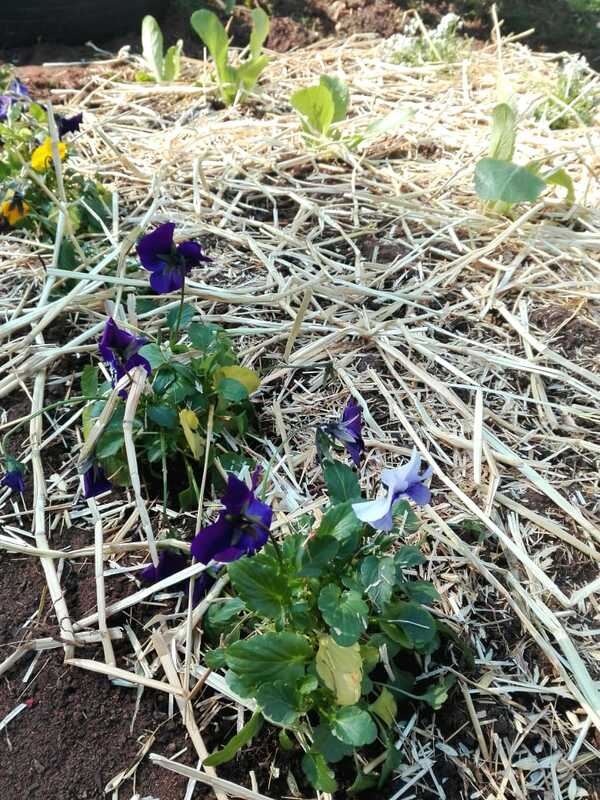 The beds were watered, and then mulched with hay – another important gardening lesson! The girls each got to take home a potted plant, that they chose and planted, and are encouraged to take care of going forward. And it wouldn’t be a Munching Mongoose affair without some delicious food! And our suppliers really came to the party! We had freshly baked bread rolls filled with roasted free-range chicken and organic tomatoes, cheese & lettuce, organic orange juice lollies, fresh apple juice, healthy drinking yoghurts and low carb chocolate cupcakes! We love being able to share such amazing food with these kids, and it was quite the feast! Happy hearts & happy bellies all round! Thanks to our customers and suppliers who contributed towards this day! Special shout-out to Mooberry Farms, The Conscious Confectioners, Antonia’s, Urban Fresh & SOGA Organic. And thank you to Pat & Nicola from Cherry Tomatoes Gardening Club for helping us bring it together! It was a great morning in the sunshine, and we can’t wait for next time!